16- 21- 57- 164 km on breathtaking trails, between Italy and Slovenia, from the mountains to the sea, on an ever-changing trail that encompasses Dolomitic scenarios and sea views. With a unique climate that on the 6th of January you can find only in Trieste. Visits to the caves, dog run, non competitive events. Insurance with accident insurance coverage. about every 10 km, fully stuffed with drinks and local foods. 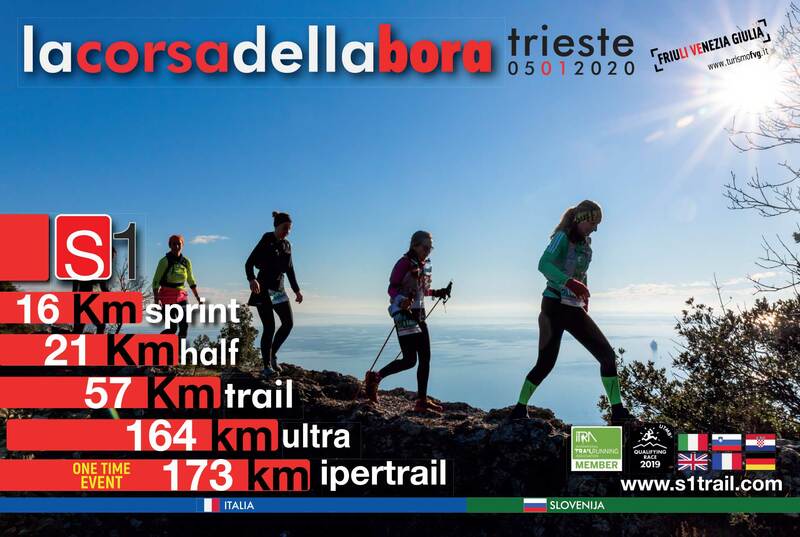 (*) distance as the crow flies from the event called "la Corsa della Bora"
Are you part of the organizing committee of the running event named la Corsa della Bora and someone has entered this race on Go&Race database without your knowledge?